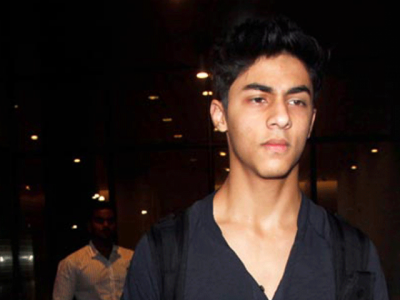 Mumbai, Aryaan is the eldest son of Shah Rukh Khan and he is getting higher education in America and he is also busy in completing the film making course from there. The recent news is developed that he got serious injuries while playing the football match in his school. He was taken to the hospital for the first medical aid but the doctor after providing first medical aid to him suggested for having the surgery of his face so that they can avoid any problem or deformity of his face. As soon as Shah Rukh Khan listened to it, he took the first available flight to America and he left to US to attend his son. He will remain there till the surgery of his son. He has stopped all his activities in the film making and he will also not attend the IFA award, in which he has to show the performance. He said sorry to the management that he would not be available in the most important award show of the country.Shah Rukh Khan loves with his work and he performs in various movies. But he loves more with his children, Aryaan, Sohana and Abraham. When he listened to the news of the injury of his son, he left the whole working and he left for USA to attend his injured son. His children are getting education in America as he wants that his children pay attention on their education and after that other works.